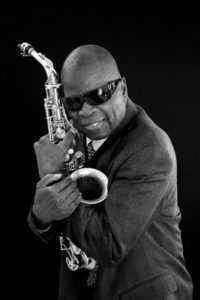 The Musical Instrument Museum is hosting soul, funk and jazz musician Maceo Parker for a pair of Tuesday, Aug. 22 concerts at the MIM Music Theater, 4725 E. Mayo Blvd. in Phoenix. The two shows will be at 7 p.m. and 9 p.m. and will feature Mr. Parker along with his band, according to a press release. Tickets range from $38.50-$48.50. Mr. Parker, a music-maker and performer for over fifty years, distinguishes himself through exceptional musicality and craftsmanship, a release states. The saxophonist has made a mark on soul, funk and jazz. His music integrates a range of genres from soul, funk and jazz to rhythm and blues while maintaining respect for tradition. As saxophonist, singer, composer and band leader, Mr. Parker has distinguished himself through a wide array of projects, albums, concerts and international festivals. While on stage, he performs with boundless energy and passion to try to captivate his audiences with his sound. Throughout his career, Mr. Parker has performed alongside some notable bandleaders including James Brown, George Clinton and Prince, a release states. Mr. Parker has not only made a significant amount of music, he has put his signature on a huge variety of musical genres including soul, funk, jazz and hip hop, according to a release. To purchase please visit mim.org or call our box office at 480-478-6000. Circle of Friends donors who give more than $500 annually are eligible for 10 percent off concert tickets.